Coral sculptures make wonderful accessories in a beach house! Add to your mantle or etagere for a fresh look. 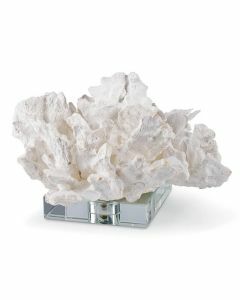 This one is made of white painted composite on a clear crystal base and measures 13.5w x 9d x 17.5h. Click on images for greater detail.